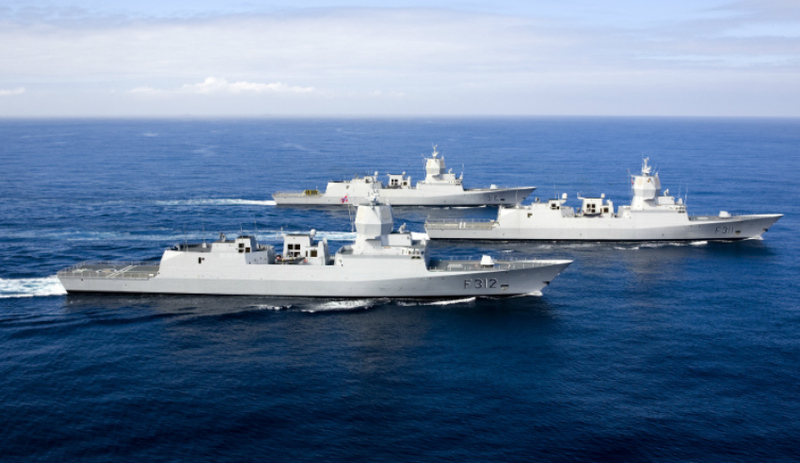 The Spanish company tendering for the $35 billion Future Frigates Program (FFP) has secured a five-year frigate contract with Norway. Navantia has signed a contract with the Norwegian Defence Logistics Organisation (NDLO) for support and maintenance of five Fridtjof Nansen (F310) Class frigates, built by Navantia between 2000 and 2011, and currently in-service in the Royal Norwegian Navy. This contract is an extension of the agreement already signed in June 2013 by both parties, which Navantia said proves the confidence of the Norwegian government in the company, as well as the commitment of Navantia to the maintenance of the ships. The new contract, besides services of technical assistance, maintenance, repair works, engineering studies, improvements implementation, training and supply of spare parts, which were already included in the previous contract, incorporates a constant service of support to the maintenance of the Integrated Platform Management System of these ships, as well as a control of the obsolescence in supplies and components and a maintenance of the configuration of the ships. Last June, Navantia opened a commercial office in Bergen, close to the naval base where the ships are located, to highlight Navantia's commitment of the company for guaranteeing its presence in the country and increasing the commercial relations with this strategic client for Navantia. Navantia said its planned frigate design for Australia will include a significant number of Australian suppliers and subcontractors. The company has held four industry engagement days around the country as it is seeking to engage with partners from the Australian industry as part of the company’s proposed work on the Future Frigates. Italian company Fincantieri and British multi-national company BAE Systems are also tendering for the FFP. The Minister for Defence Industry Christopher Pyne has previously spoken highly of Navantia's operational skills and world-class shipyards. "Navantia was instrumental in turning around the Air Warfare Destroyer program in Australia, taking the Osborne shipyard to internationally competitive standards," he said.